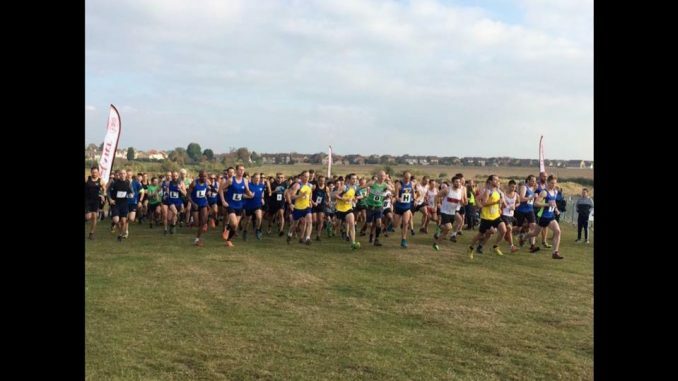 Round 4 of the Essex Cross Country League for this Saturday the 14th January. We need as many people taking part as possible please to ensure another strong showing in the team categories. Directions: The park is only accessible from the north bound dual carriageway A131 towards the A120 (Braintree). Our event follows the usual Saturday morning Parkrun so the car park may be quite busy as people come and go. Parking : For ecological, financial and space reasons please try to car share. We cannot get a concession on the parking fees. Car parking is by ANPR cameras and payment can be made at the machines before you leave .The summer overflow car park will not be open. It is possible to park for free on the Great Notley housing estate(but don’t say I said) and walk through the underpass adjacent to the park. If you choose to do this please park considerably. There is also free parking at Tesco’s ( subject to usual conditions so please check this if you choose to park there) If you do choose to park at Tesco there is a crossing by the roundabout which is opposite a pedestrian entrance to the park. Please do not walk along the dual carriageway. Footwear : The courses are generally grassy, hilly in parts ,likely to be slippery and in parts muddy. Parts of the course, in in particular the longer races ,are on firm gravel paths. Please bear this in mind when selecting your running shoes. Facilities : There are changing rooms and toilets below the Discovery centre building. These are accessible from the back of the building.